With the onset of winters at a particular place, people start preparing with the methods to survive in the cold weather. They make sure that they have enough source of nourishment and have adequate clothing materials, with which they could cover their body while the chilly winds hit the grounds. Heating gadgets such as heaters and blowers are a prominent thing in each house while the less affluent ones use fire to warm their body. Hot foods and drinks could be seen in each and every hand while they attempt to defeat the chill. In such a case, when you have pets in your house, you have to be utterly careful that they do not catch a cold and get defeated by it. 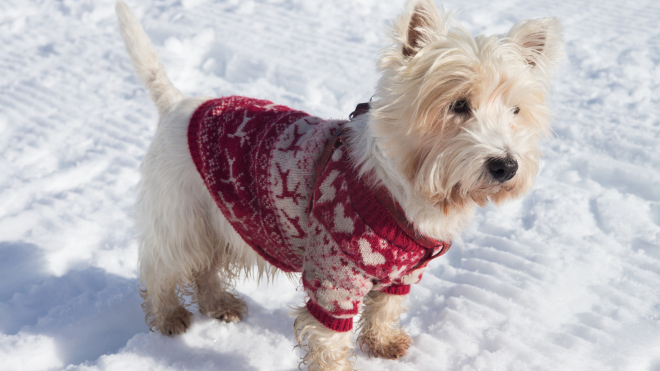 The cold could affect the health of pets in a terrible manner. If your pets such as dogs, cats, birds, and rats etc. catch a cold, they could be a home to various disorders in the body such as nausea, cough, sneeze, shivers, Pneumonia, unhealthy stools and effects on the immune systems. Therefore, it is a supreme necessity to provide your pets with the materials that help them to cope up with the cold and stay healthy at the most extreme weathers. Now a fact that arises here is, animals are equipped with natural guards in their body that help to keep them warm in cold. Dogs and cats have hair on their body and birds have feathers that serve the purpose. They also use shivering and rolling methods to generate heat. But you would definitely not praise the notion that your loved pet keeps shivering in front of your eyes, while you sit and enjoy the warmth. When the necessity to keep your pets warm arose, there came the innovations that help you to keep them warm. These are the jackets, made up of various kinds of warming materials. Pet coats could be made up of fabrics such as wool and polyester and also of tough materials such as leather etc. These coats and jackets serve the purpose of warming the dog well, especially if it living at a place prone to snow. You could purchase these coats well but only being utterly careful of the size of your dog. A small sized coat for a large dog would not serve the purpose as it would fit tight and make the dog agitated. A coat that is bigger than the size of your dog would not protect it from cold in the stipulated manner. Therefore, it is really essential to get a right-sized jacket. These are suitable for dogs as well as cats. 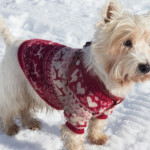 Sweaters are generally made up of fabrics such as wool and help to prohibit the frosty winds from entering the body of the pets. These are also suitable both dogs and cats and come in a variety of sizes and colors to suit your pet. The advantage of sweaters over jackets is that sweaters are softer and do not tend to irritate the body of pets. In winters, some places could have floods of dew drops on the ground while others may be loaded with snow. Added to these is the chilly wind of the winters. In this condition, if your pet roams outside your house barefoot, it is bound to catch a cold and thereafter the disorders that accompany cold. To prevent this, various types of pet boots are available which come exactly according to the size of the feet of pet. They could be made up of plastics or leather and prevent the contact of frost. Pet boots are available for both cats and dogs, preventing their feet from the bad effects of cold. These are the outcomes of latest technology and advanced methods of pet care. A heated pet mattress is made up of Polyvinyl Chloride fibers and is effective enough to resist moisture. This pet bed could be placed anywhere, even on the cold floors without getting affected. When a pet lies on the bed, the system gets activated and generated heat to keep the body of your pet warm. It occurs in various sizes viz. small, medium and large. Small animals such as rabbits, Guinea Pigs, and ferrets etc. could be kept warm with the help of heating pad. This heating pad is attached to a non-chewable cord that is in turn attached to an electricity supply. 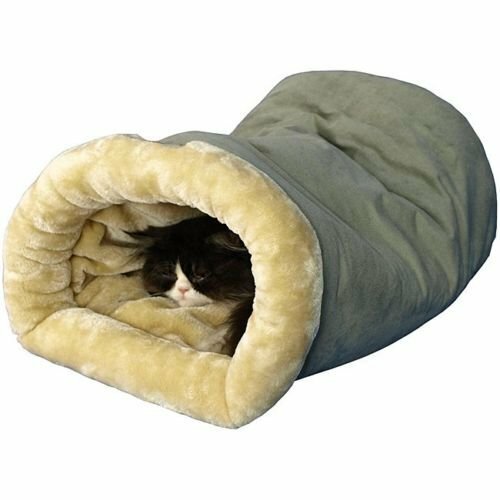 You could use it well to keep your small pets warm, indoor or outdoor. 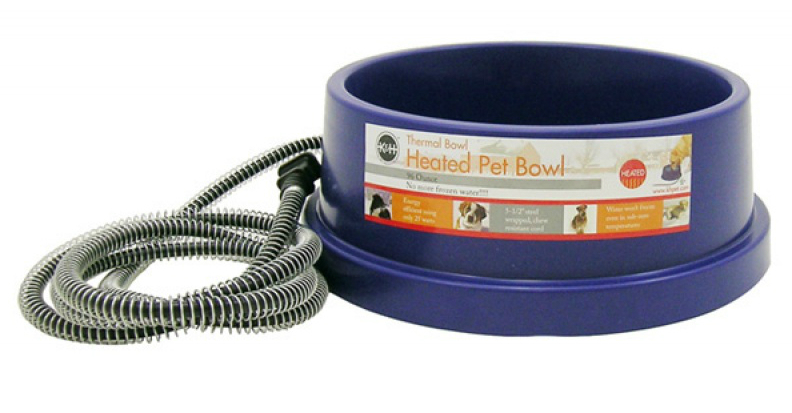 There are systems that could be used to heat up the food that your pets eat and a thermal bowl feeder is a good example of it. Generally, if food and water become icy cold in the chilly weather, your dogs and cats may resist eating them, having an utter effect on its health. To prevent this, thermal bowl feeds use the electricity to warm the food and water, without having to burn the tongues of your pets. These bowls could also be used outdoors if your pet loves the concept of feeding in an open place. This is the product used to keep warm, the various kind of local and exotic birds that you keep caged in your house. A heated bird perch is a type of twig that uses thermal setup, used to warm the claws of birds. This perch could be used inside the cage and the birds sit on this to keep themselves warm. It also occurs in a variety of sizes and you could choose it according to the level of your cage or the size of the bird you have. This is a well-known fact that cats love to groom themselves and could go for a bath at any season and any kind of water. But if your kitty plunges into the cold water and wets its outer coat, the more time it would take to dry its coat, more will be chances that it catches a cold. To tackle this need of the kitties, bathtubs are available in which the water could be heated to give a warm wash to the kitties. The electrical fittings warm the water without lending any troubles with the heat. Your cat could lie in it as long as it likes and gets itself washed. A crate pad is a heating device that resembles a mattress and could be used to keep the pet warm. The mechanism that is used is, to capture the heat radiated from the body of dogs and cats and throw it back at them for their heating process. This pad is resistant to slipping and could be used on cold floors. Also, these are available in a variety of sizes so as to meet the body size of various pets. These are in the form of small beds that have materials to warm your pet. You could keep this bed at any place and let your pet slip in it to get protected from the cold. It is equipped with warming mattresses that keep the body of the pets warm at night. This is one of the most effective and efficient setups that are used to keep the felines warm when they stay outside the house. It could be made up of nylon or polyvinyl backing, supporting the heat needs of the cats. There could be systems such as heated instruments that could be used to keep your kitty warm, without even hurting them. A cat could get in and go out easily through the outer openings, which could be made at both the ends. 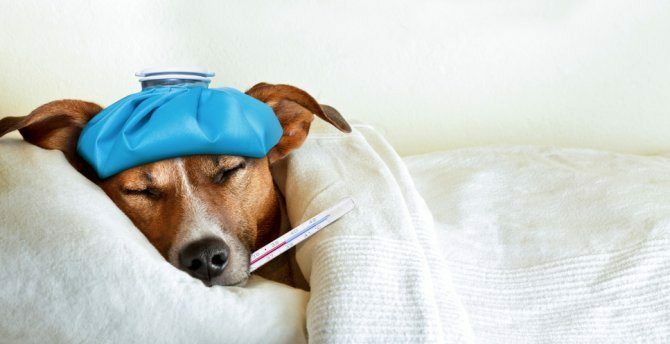 Apart from all these materials, pets could be offered various kinds of prescribed medications and registered drugs that help them to keep their body warm. Visit Self Pet Care t o learn more about pet care tips and tricks. A point of caution occurring with the usage of these kinds of materials is that the heated products that use electrical supplies may come with some instructions. These tips of the products are to be read well and kept in mind so that your pets do not encounter any kind of accidents, while they hope to get warm with various kind of advanced methods. It could be well seen that extreme colds and the frosty weather could do a lot of damage to the humans as well as the pets they contain. Under these circumstances, humans are capable of covering and protecting themselves but the pets depend upon their masters for their safety. Therefore, it is to be kept in mind neatly to make use of various kinds of heating substances for the pets. Traditionally, pets used to lie in a close vicinity of the fires that their master lit. With the advent of technology, we have got new instruments and these lend a helping hand to warm the body of our pets, which are totally dependent on us for their safety.